Potomac Shores now featuresnew single-family attached villa homes withmain-level owner's suites! These low-maintenance homes are located in the Woods District in award-winning Potomac Shores complete with resort-style amenities and sports fields you can walk to from your front door. Click hereto schedule your visitto tour our modeland receive an additional $1,000 incentive towards your new home!With the amount of volume we have, and since we are often giving tours of the amenities and community, it is highly recommended you schedule an appointment to ensure you are able to view all models and experience everything the community has to offer. Homes Designed for Your Lifestyle The Griffin Hall model has all of the space and features you've been looking for with 3+ bedrooms, 2.5+ baths,3,135sq. feet and a first-floor owner's suite! Enjoy a spacious backyard that backs to woods. These homes start in the mid $400s and many financing options are available -schedule your visit today,we can help you through the process! Resort-StyleAmenities -Jack Nicklaus golf course & Tidewater Grill -3 beautiful pools at The Shores Club -10+ miles of walking trails -Ali Krieger Sports Complex -Town Center and VRE Station coming soon. -On-site elementary school in the community and the middle school will be opening 2021! Have you heard? Arlington, Virginia was just announced as one of the new headquarters for Amazon! The future VRE station in Potomac Shores will take you to the VRE station in Crystal City in 6 quick stops. Live the Potomac Shores lifestyle and take the frustration out of your daily commute! 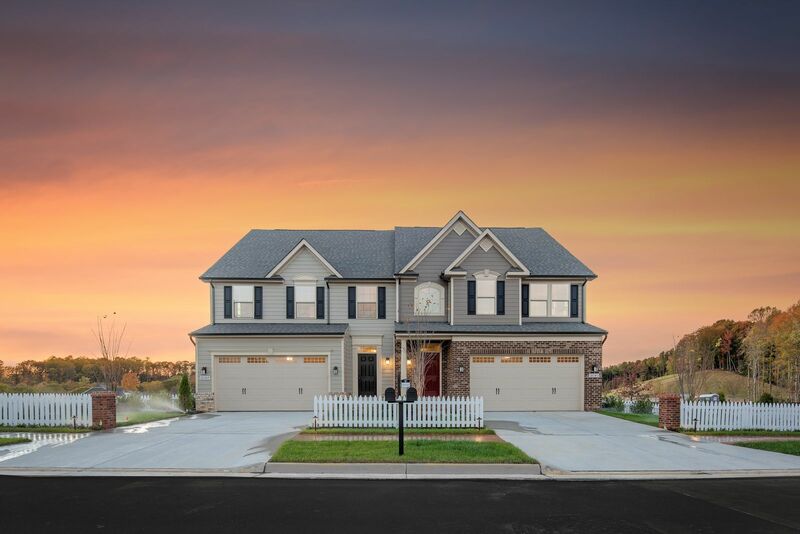 Click hereto schedule your visit to tour our decorated model today, and get exact option and homesite pricing!Schedule your visitand receive an additional $1,000 incentive towards your new home.